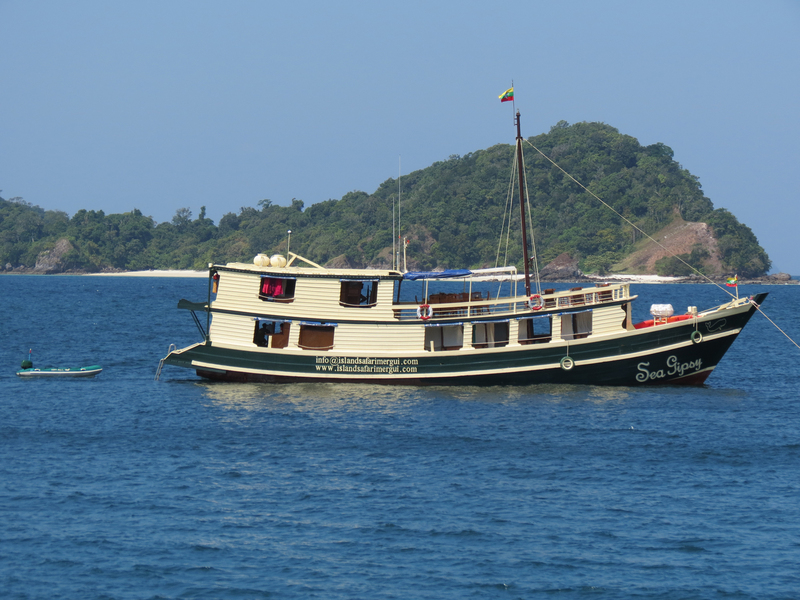 A Scenic Safari Aboard the MV Sea Gipsy. 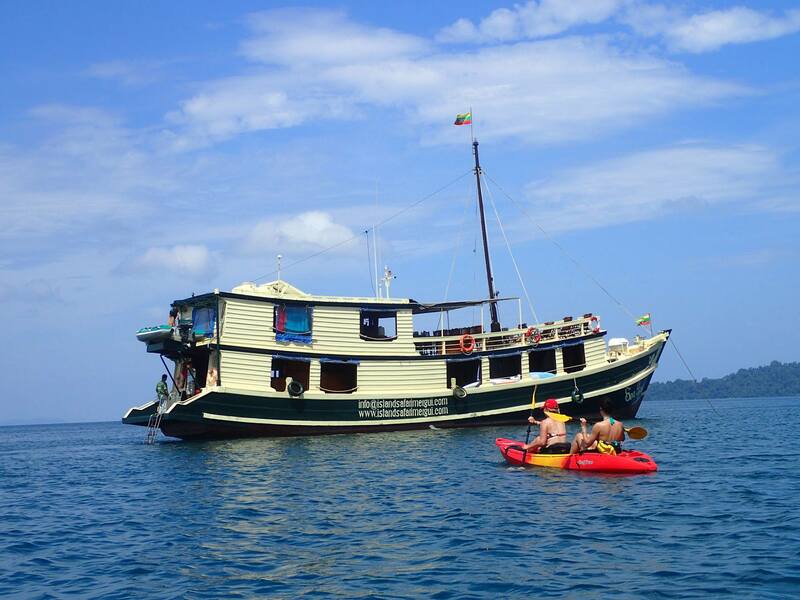 Relax aboard the MV Sea Gipsy and let your troubles float away on crystal clear, emerald waves. 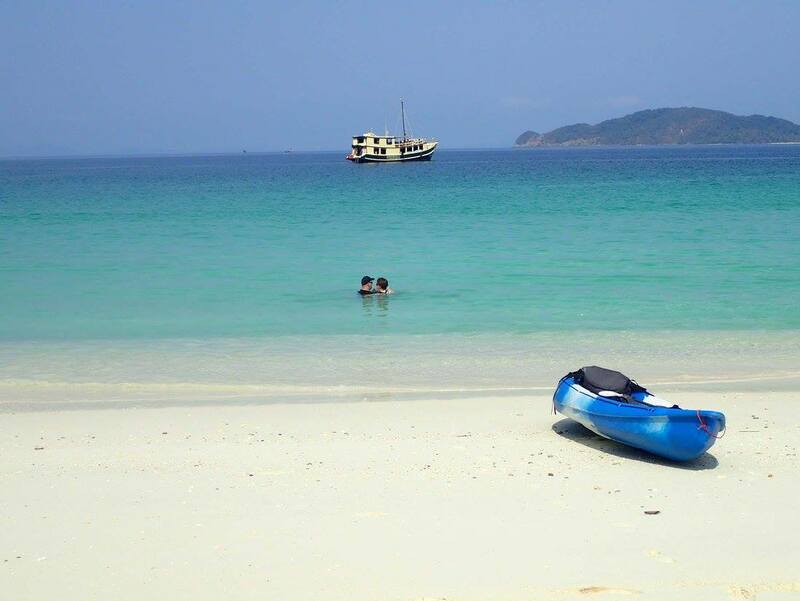 Escape the crowds and relax into the peaceful serenity of a boating adventure through the stunning and remote Mergui Archipelago. 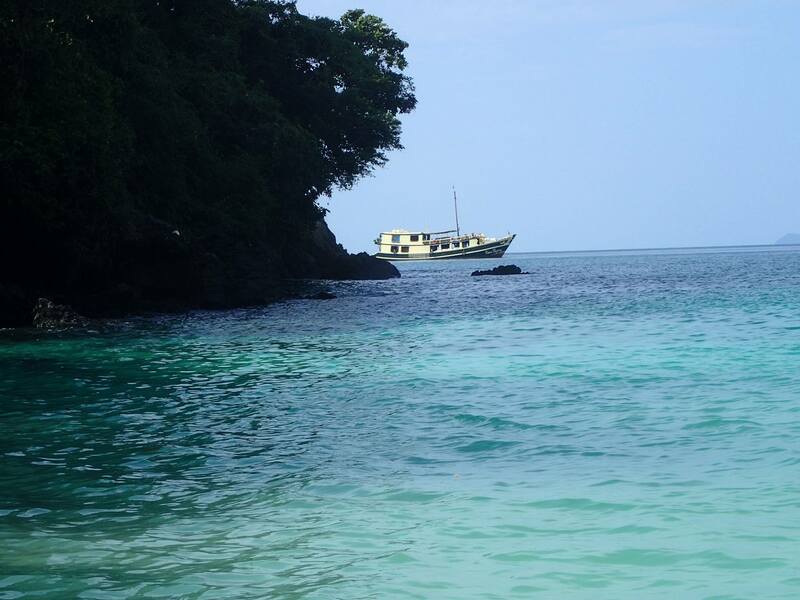 * Afloat in the shimmering waters of Mergui Archipelago, you will experience the divinity of relaxation and contentedness. 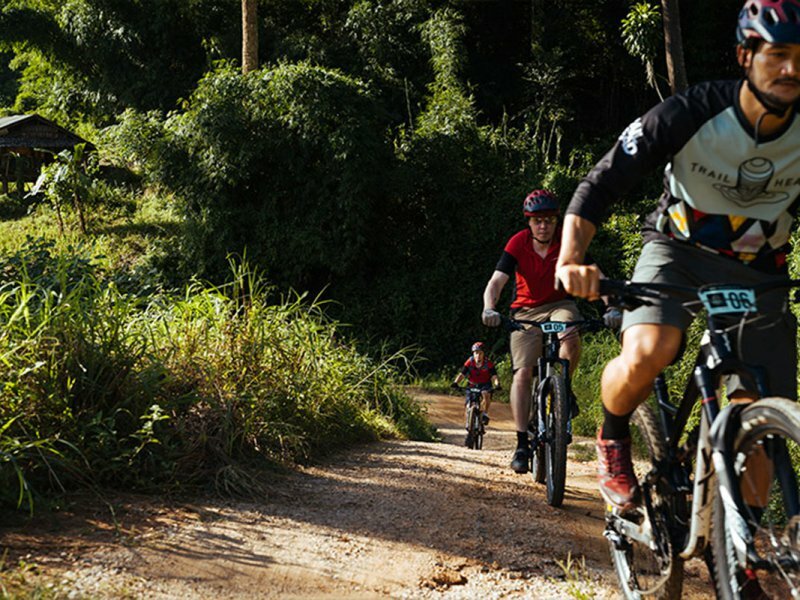 Aboard the MV Sea Gipsy, this five day adventure will begin at the bustling seaport of Kawthaung where there are diverse sidewalk shops for you to see, experience and explore. 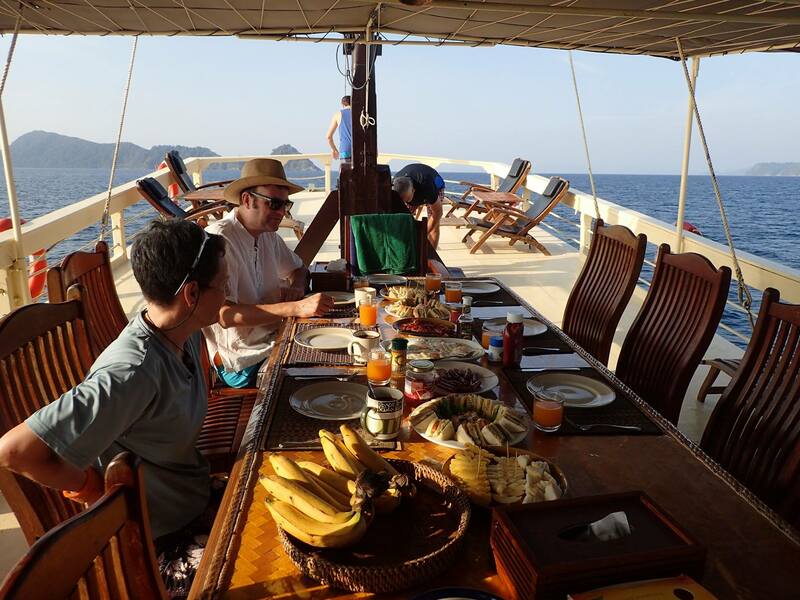 * Once you’ve set out into the tranquil waters of the Mergui Archipelago, you will be treated to stunning views, breathtaking sunsets, and peaceful relaxation under the twinkling stars of the serene night sky. * A stop at Moken Village will warm your heart as local children great you with smiles and waves. 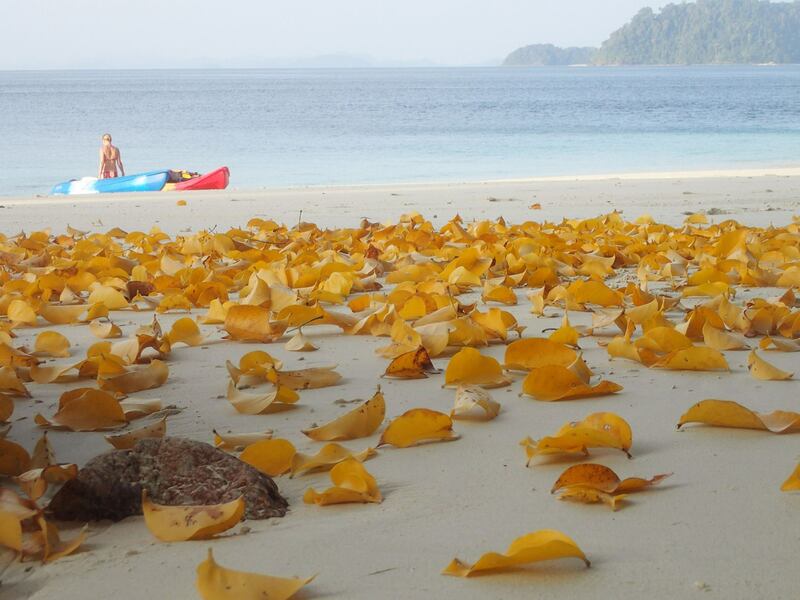 As you depart Moken Village for Boulder Island, you will set sail with a full heart. 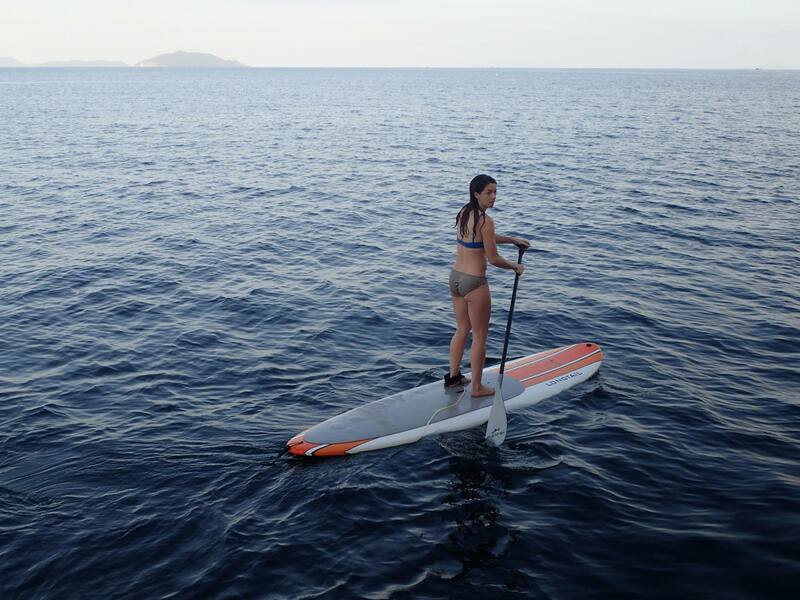 * At each stop on your 5 day adventure, you will have the chance to experience the wonders of the Indian Ocean as you snorkel, kayak or paddle your way around the shoreline on a long tail stand up paddle-board. 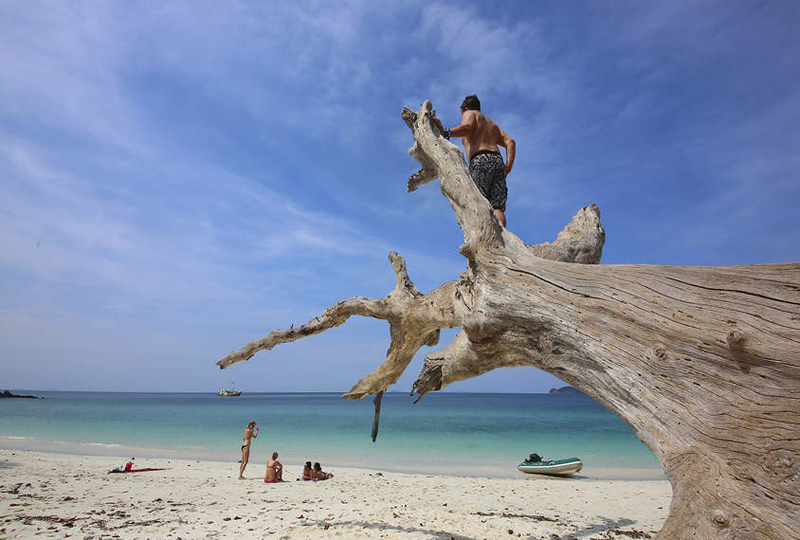 * You will experience the heart-stoppingly beautiful and untamed vistas of Myanmar’s most remote areas. * On Boulder Bay Island, you will have the chance to hike to stunning Eagle Rock where you will be treated to unforgettable vantages of uncharted wilderness. 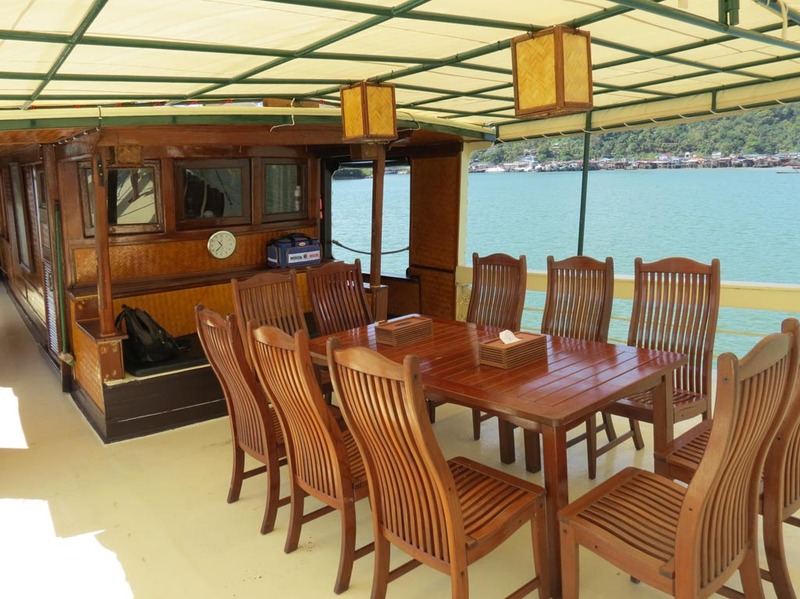 * Aboard the MV Sea Gipsy, you will dine on delicious and carefully prepared dinners. 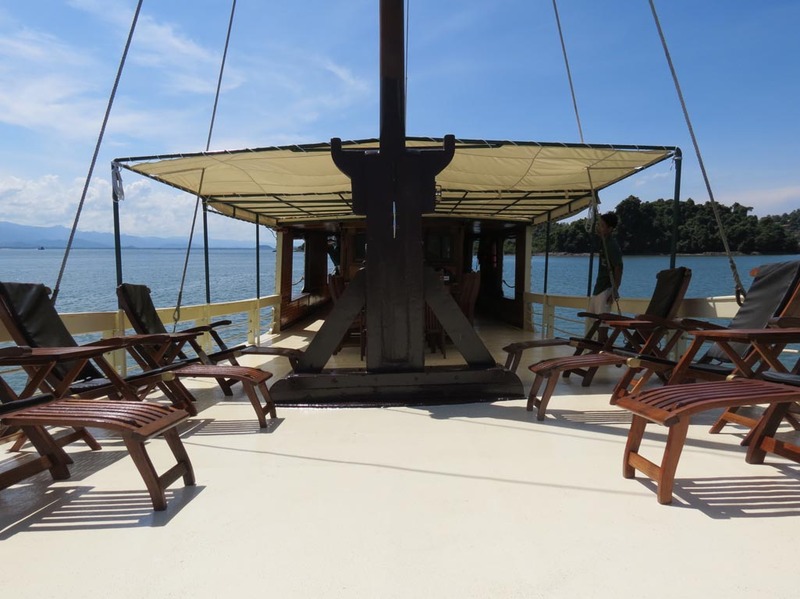 There is a stunning, sun-drenched deck where you can relax into the serenity of your adventure of spend the evening relaxing in one of five open-air gazebos. check-1 Round Transfer from Airport Kawthaung or Airport/pier Ranong to Kawthaung jetty. 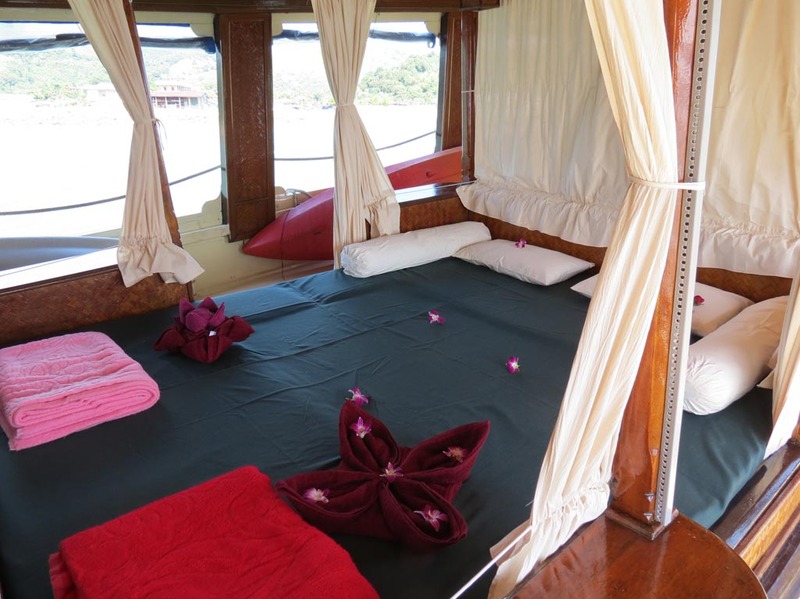 check-1 Accommodation onboard MS Sea Gipsy based on double bed open-air gazebo. check-1 On board meals ( 3 meals per day with minimum 3 – 4 dishes per meal ). 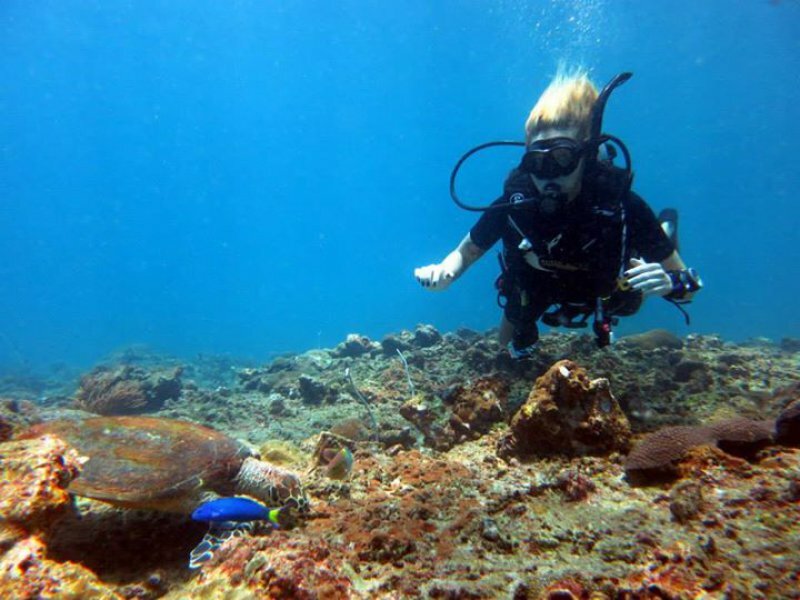 check-1 Soft drinks, fruits, snacks.Sea Kayaks (sit-on-top), Snorkeling sets (mask, snorkel and fins), Fishing Gears.Life Jackets all needed Safety equipment. check-1 Port fees as well as Special travel permit application. check-1 Local English speaking guide. remove Other Transfers not listed above. 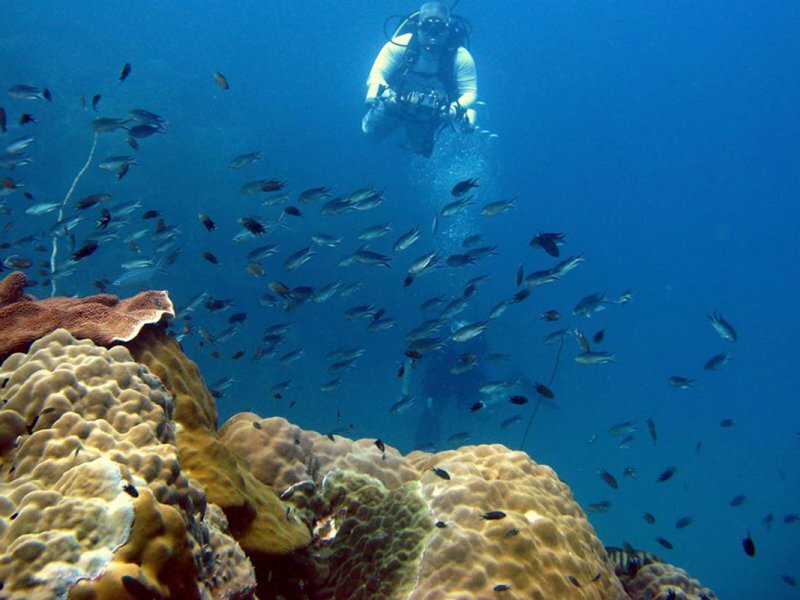 remove Mergui Archipelago fees (Royalty fees) USD 100.00 – 140.00 depending on the length of the trip per person for every trip on board. remove Myanmar Visa Fee (USD 30.00 per person). 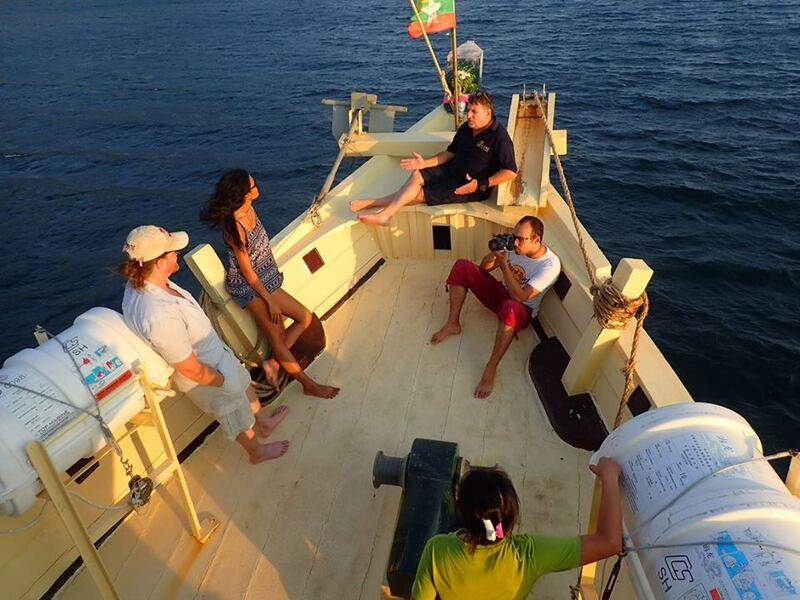 remove Expenditures of personal nature, such as alcoholic beverages, souvenirs, tip for crew etc. remove Personal insurances such as health, trip cancellation, luggage damage and lost etc. remove International and Domestic Air Tickets.Service not mentioned above. remove Fuel surcharge, if it is applicable.